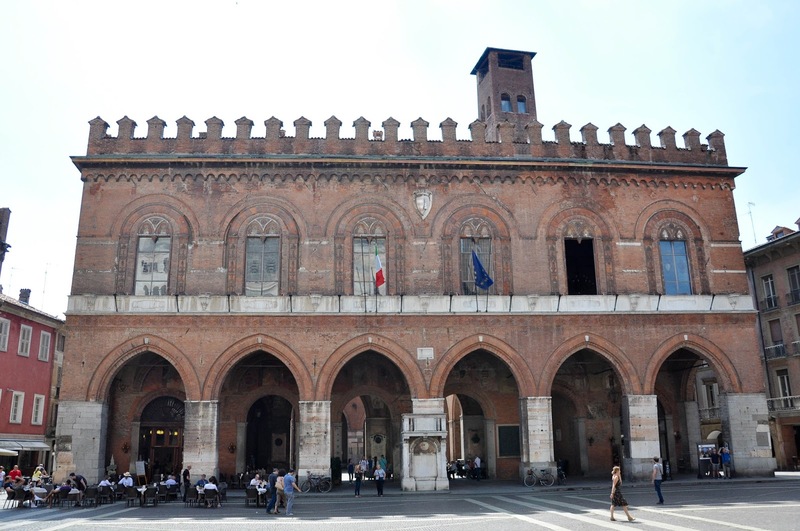 We arrived in Cremona just after lunchtime on a quiet Sunday afternoon. The town, famous for its violin-making tradition, was deserted. Heavy shutters were blocking the windows of its houses and sunlit cafes stood empty in the hot afternoon. We had left Vicenza that same morning. Piled in our little red car we started on the long journey back to England taking Northern Italy and France along the way. The lush plain of Veneto backed by the pre-Dolomites was followed by the even flatter land of Lombardy which stretched all the way to the horizon unimpeded by mountains or hills. Dense corn fields swayed on both sides of the road. 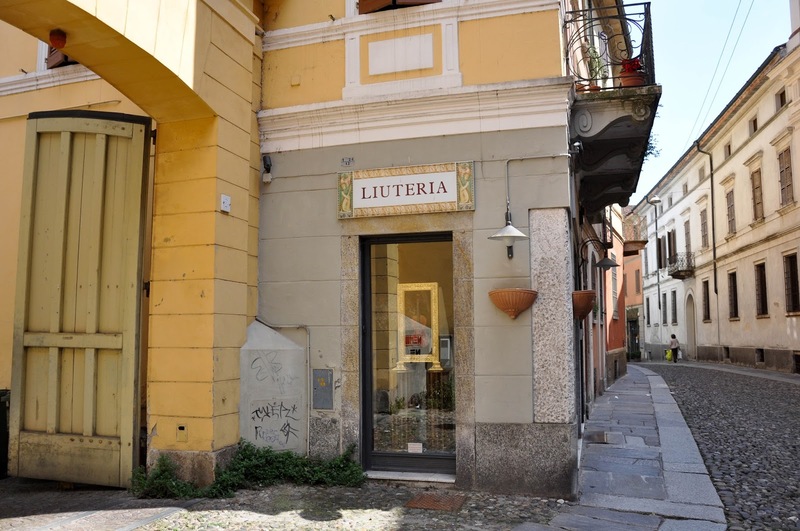 Right on the border between the regions of Lombardy and Emilia Romagna stood Cremona and we were tempted to stop there for a couple of hours to escape the hot confines of the car and to explore, albeit briefly, another famous Northern Italian town. 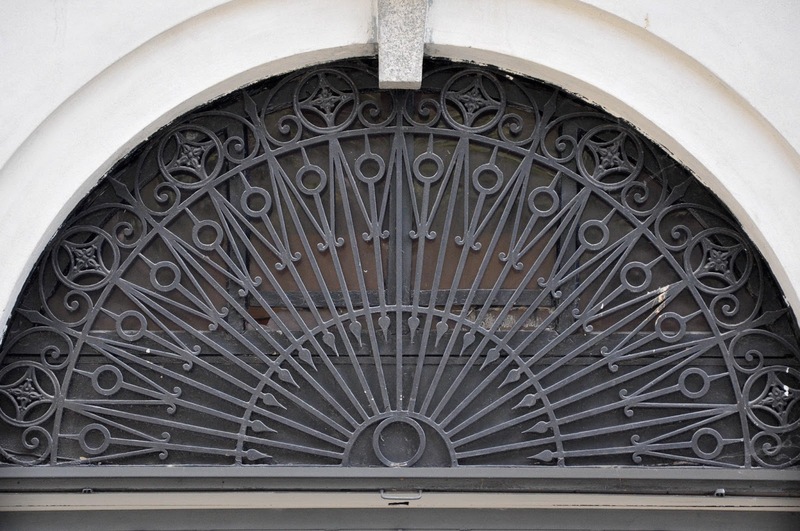 The first thing which impressed me in Cremona was the intricate ironwork. Balconies and arches were adorned with the most exquisite railings, each house with its own unique design. We drove around for a little bit getting our bearings and deciding what to do. 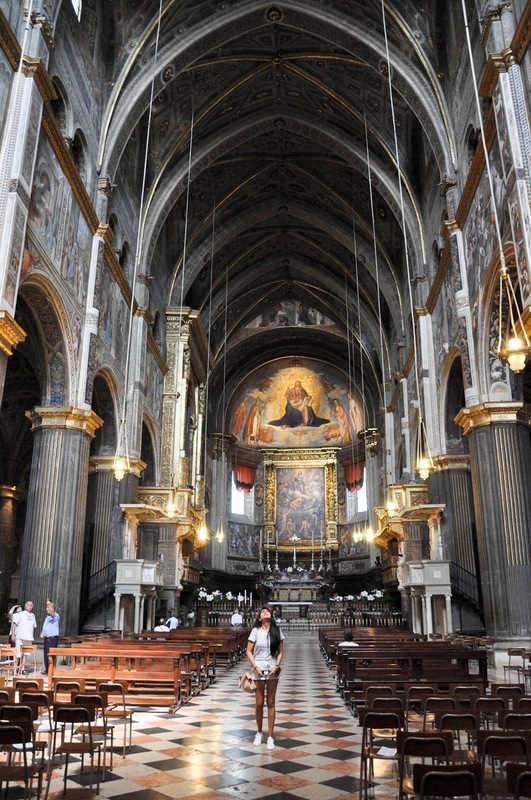 With only two hours to spare we had to be focused and pinpoint the one or two things we were interested in the most whilst foregoing with regret the rest of the many palaces, churches and museums the town had to offer. 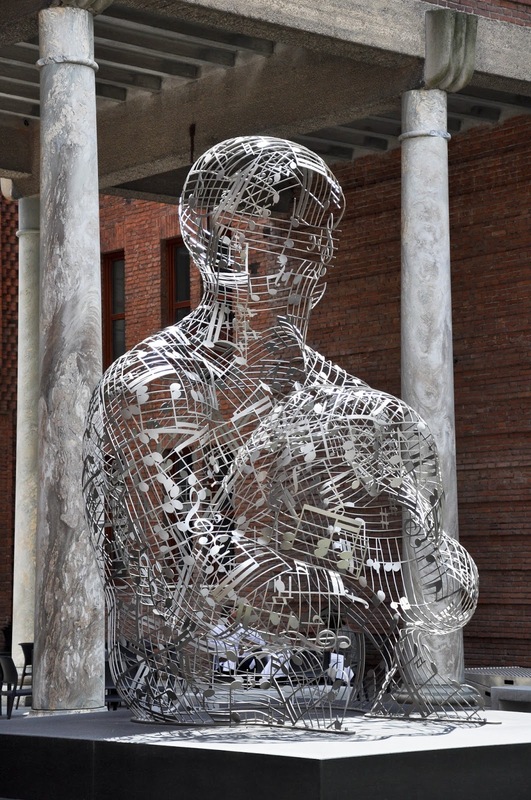 Honouring the musical heritage of Cremona, we decided on a visit to the Museum of the Violin. 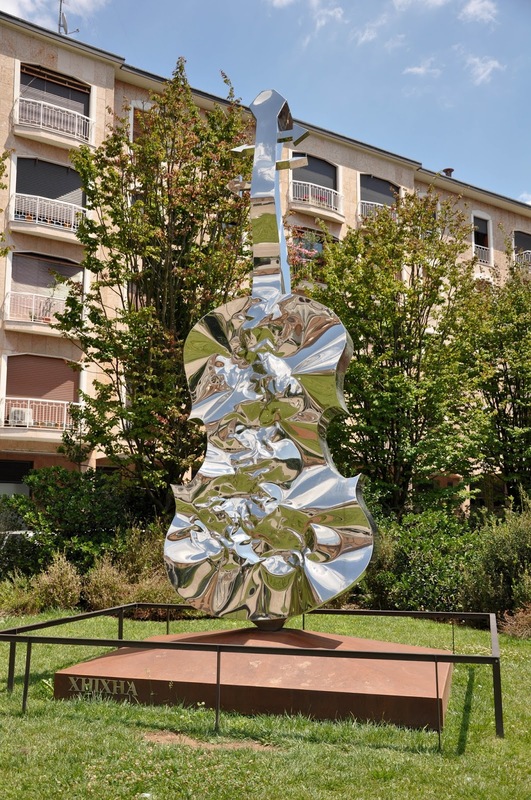 Outside it stood a monumental violin made of mirrored scrunched metal. 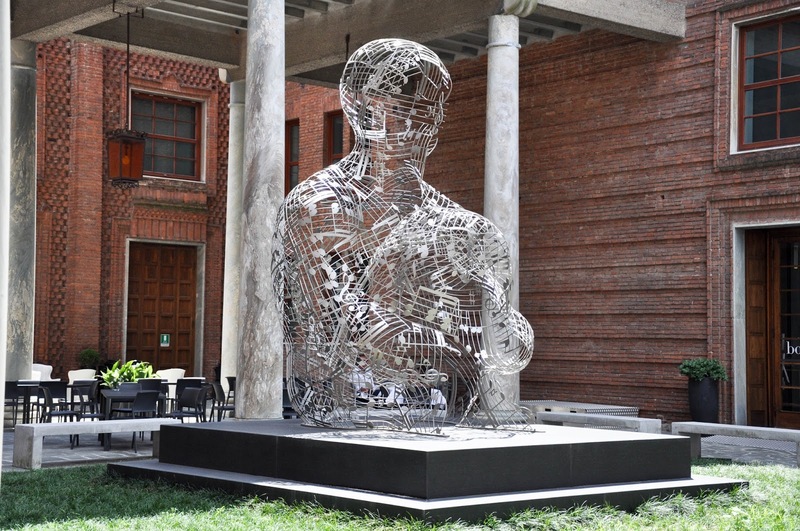 Inside the courtyard a huge human figure made of musical notes sat in pensive pose. Taking pictures is not allowed inside the museum, so here is a summary of my impressions of it. It is a modern and high-tech place with lots of emphasis on interactivity. There are some quite innovative displays talking you through the complicated process of making a violin. You are encouraged to touch and engage with the displays. In the middle of the first exhibition area there is a big pod. Inside it is dark and you can sit on a velvet bench and listen to classical pieces for violin. It is lovely being in there, watching the performances screened on the ceiling of the pod. You feel cocooned in the near-dark with the beautiful music enveloping you tight. My most favourite part was the room with some of the world’s most precious violins. You walk into a space which is with padded dark purple walls and muted down light. The ceiling above is shaped a bit like a space ship with an elongated metal body protruding over your head. 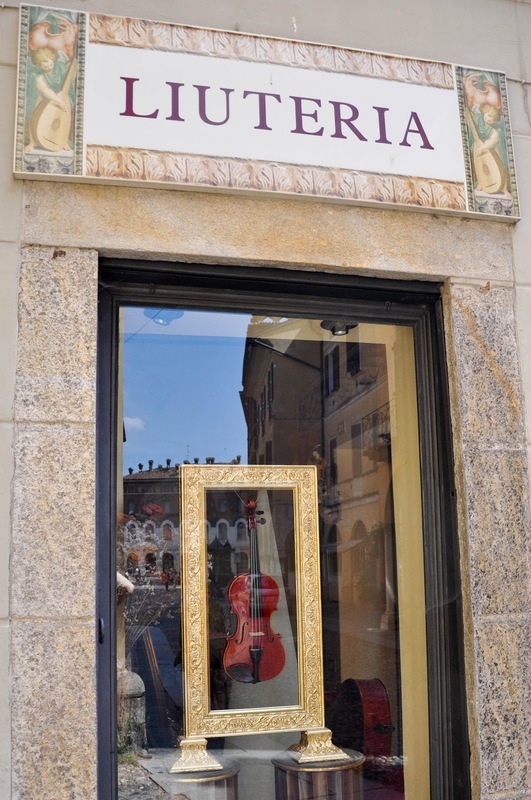 Violins by Stradivari and Amati, to name but the world’s most famous luthiers, hang in display cases made of glass. The rows of cases run diagonally to one another creating an infinity illusion. It is very beautiful and the violins look like precious jewels glinting in the muted light. The main issue for me was that if you wanted to get a good understanding of the museum and its subject matter, you had to pick an audio guide from the ticket office. Unfortunately, when you are running after an active toddler, standing still for minutes at a time and listening to long explanations is not really an option. It would have been nice if there had been more informational signs and posters which we could have read quickly rather than feeling like we were missing on as we couldn’t hold an audio guide for the recommended hour that the visit of the museum is supposed to last. Still, I enjoyed our time there. 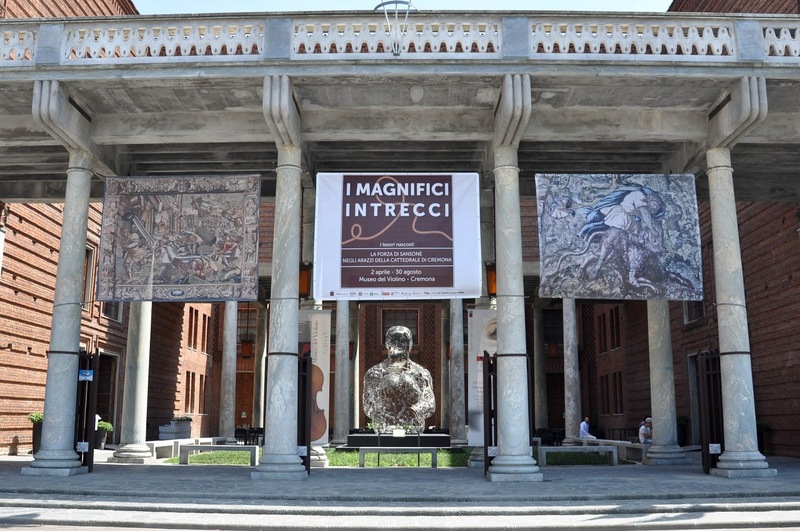 Not as much as I enjoyed my visit to the Museum of Music in Venice, but it was a good experience to have and cherish. 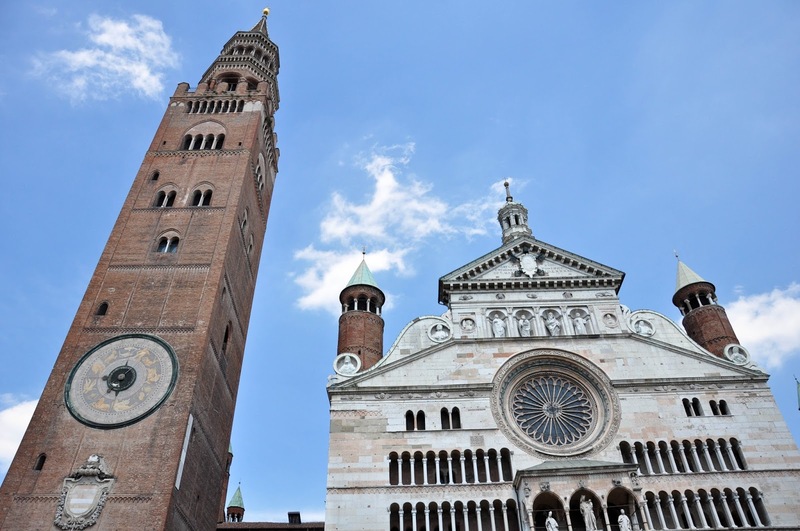 After that we were curious to see more of Cremona, so went back into the scorching sun. Violin-making is very much alive and actively supported in the town. We came across several signs pointing to the locations of many violin-making shops. Unfortunately, the two shops we saw were both closed, as it was Sunday. We continued to explore the streets of Cremona just taking it all in. 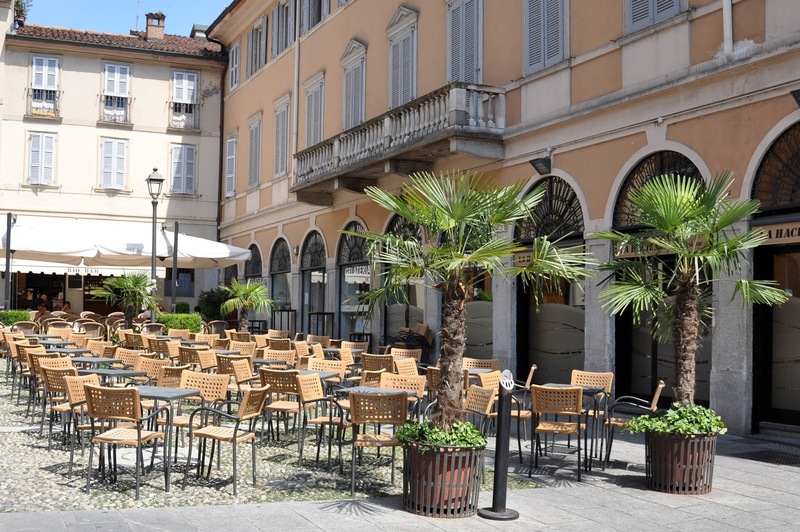 The town had started to awake little by little and people were flocking to the local cafes. 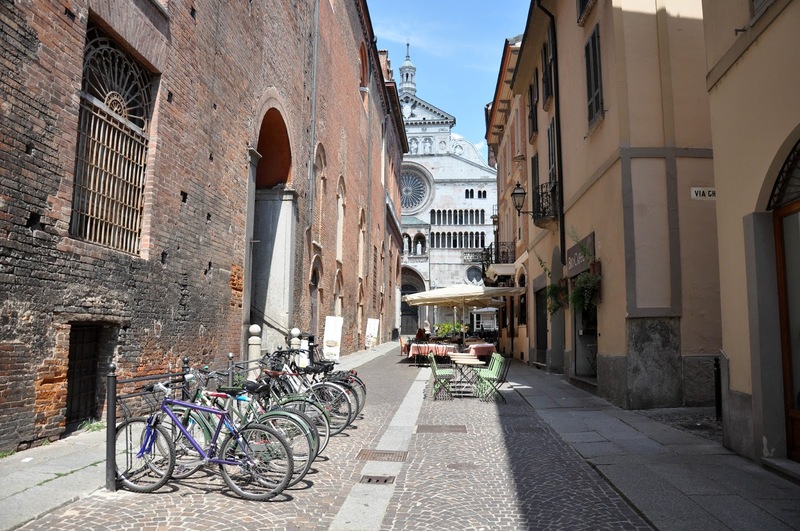 At the end of one of the little side streets we explored, we caught a glimpse of Cremona’s Duomo and its amazing façade. Right after the bicycles on the picture above, we spotted some stairs leading to a spacious courtyard. Curious to see what was there, we went up and found ourselves in the yard of Palazzo Comunale which was founded over 8 centuries ago. 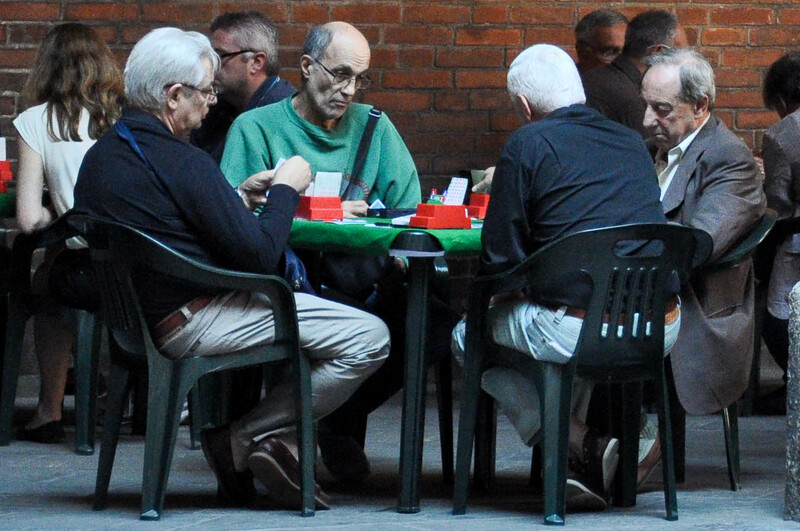 Curiously enough, under its arcade a bridge tournament was taking place. Everyone seems very focused on their game. I particularly enjoyed observing for a minute or two the dynamics on this table. 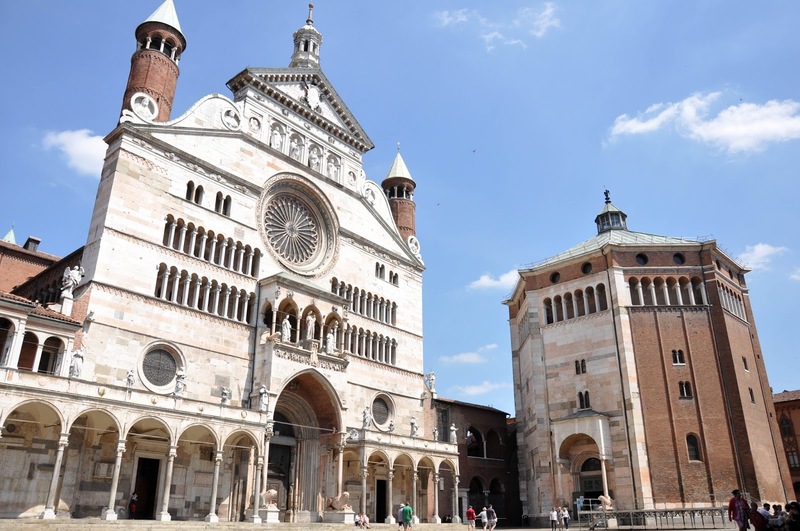 From there we reached a sunny square with one of the most amazing religious buildings I have ever seen – Cremona’s Duomo. 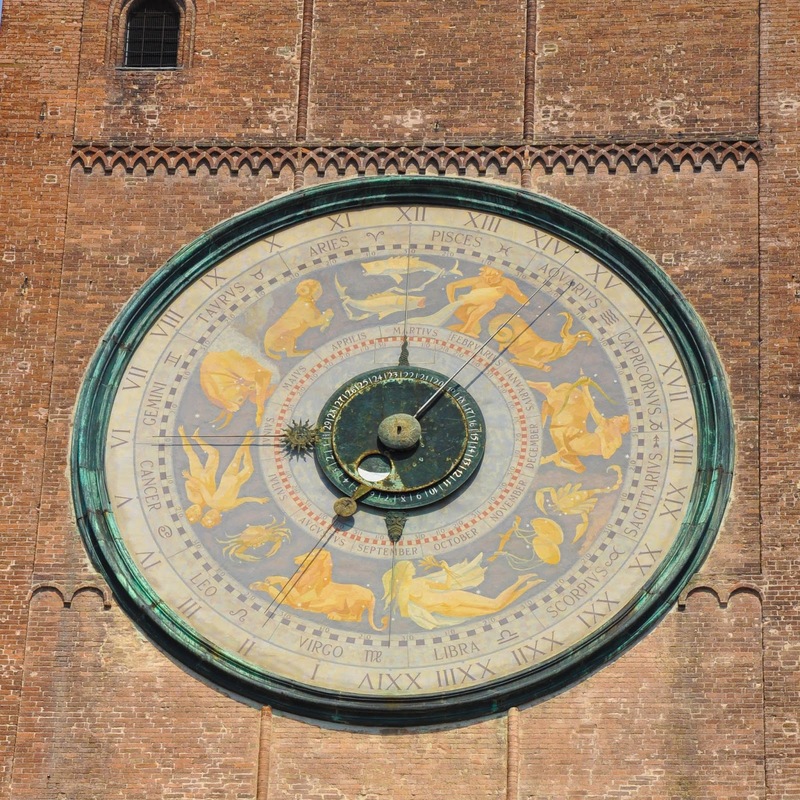 A beautiful zodiacal clock adorned the face of the bell tower. The façade of Duomo was very beautiful. I loved the arcades and the rows of sculptures on it. Right next to Duomo stood the Baptistery. Inside, Duomo was even more impressive. 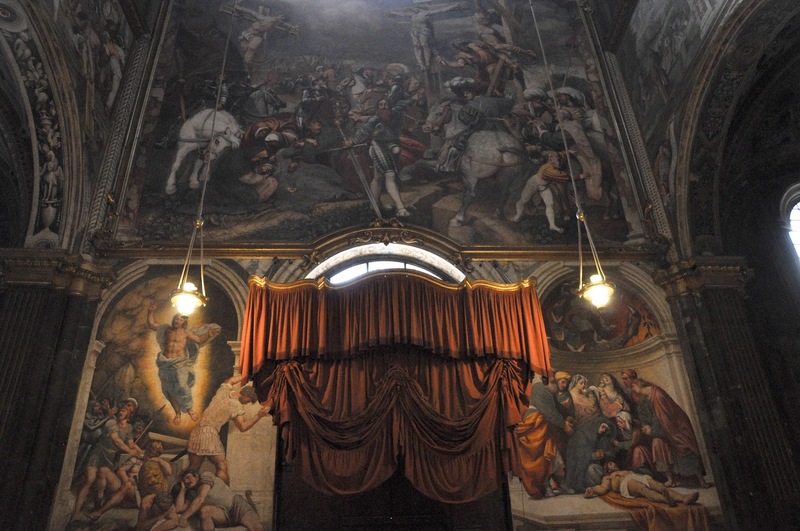 The walls were covered with frescoes and the vaulted ceiling was fabulously painted. You couldn’t just walk by. The beauty of it all made you stop in your tracks so as to try and take it all in. 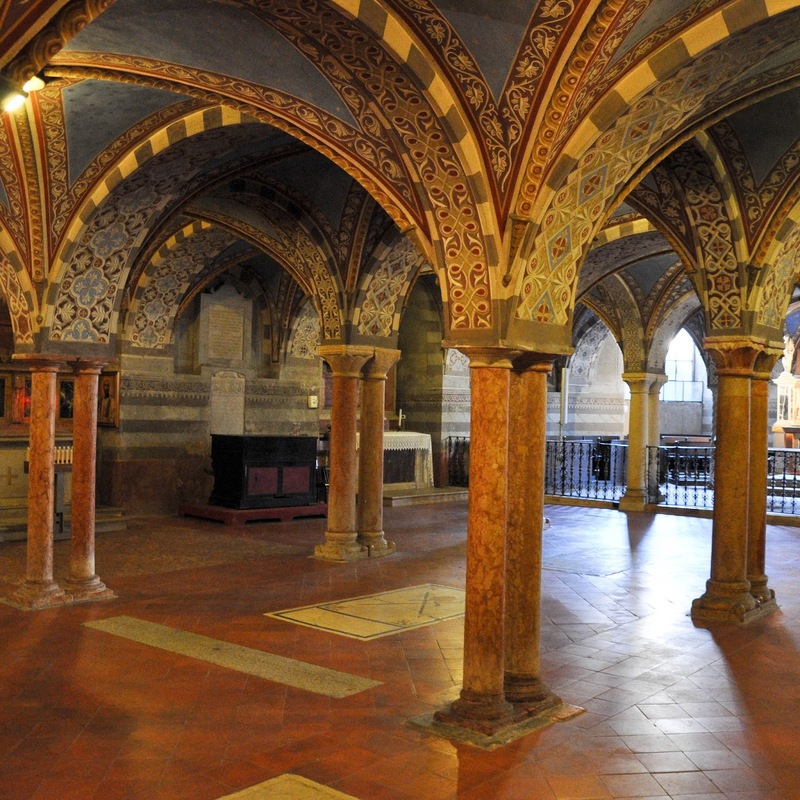 The crypt was one of a kind, too. Crypts tend to be really austere, but this one was colourful and almost bright. Our two hours were up. It was time to head back to our little red car and continue our journey. 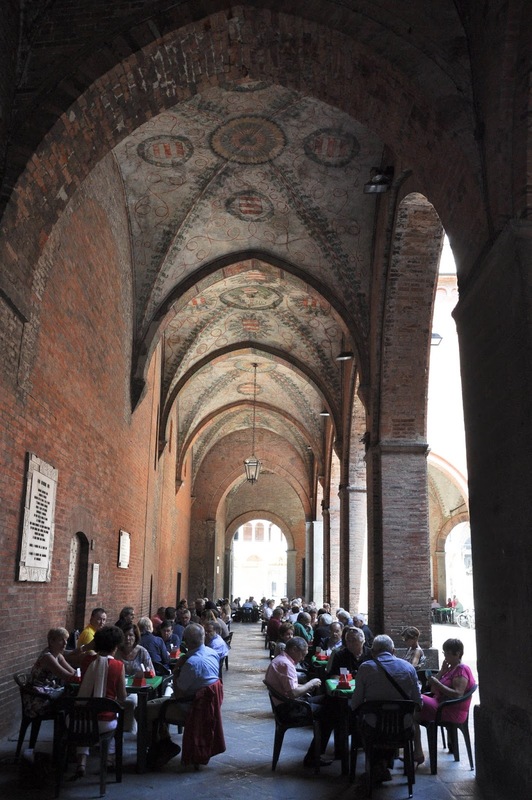 I felt that Cremona deserved at least two full days for a detailed exploration of all the visual and musical delights it has to offer. As it happens, we had very limited time on our hands. It is interesting though how much you can see in only two hours of time. Enough to make you feel like you have gained an appreciation for a place and make you want to come back to it as soon as you can. So, this is it! My postcard from Cremona to all of you. Keep checking the blog in the next few days, as there will be more postcards and in-depth pieces about places in Northern Italy and France as we slowly make our way back to England.